Great deal overall. Very clean and suitable. The host is friendly and always ready to provide useful info and help you. Friendly owner, relaxing pool area and well serviced and comfortable apartment. - The hosts were super-friendly and helpful. English was not a problem to them - Individual entrance to each room like staying at a house. I liked the quiet location close to a supermarket, excellent cheap street food, a magnificent and virtually undiscovered temple, a short ride to the beach and close to Soi Dog where I was volunteering. The hosts were kind enough to supply me with a free bicycle to get to work. I liked the view over the Mai Khao wetlands. The space is really big and very clean. It was the perfect place to unwind and relax. Both hosts were friendly and accomodating. The bed was the best, it was so comfortable! We liked everything! Perfect property for us, having everything we needed. Beautifully maintained gardens to relax in with a lovely little pool. Within walking distance to some nice restaurants and supermarkets, and of course a fabulous beach. Owners particularly friendly and helpful. Thank you Ohm and Dirk! Amazing location near a quiet beach. The resort is well looked after and extremely clean. The pool and garden area were so peaceful and relaxing. The couple who run this resort could have not been kinder, they were so helpful in arranging our travel requirements. Could not have been happier would 100% recommend to all especially couples or families looking to avoid the craziness of some areas of Phuket and instead enjoy a small piece of paradise. Everything was PERFECT! Thanx Dirk and Ohm for everything! BTW, fishing was great. Will recomend my friends. Lock in a great price for Orchidilla Phuket Mai Khao Beach Houses – rated 9.4 by recent guests! Orchidilla Phuket Mai Khao Beach Houses This rating is a reflection of how the property compares to the industry standard when it comes to price, facilities and services available. It's based on a self-evaluation by the property. Use this rating to help choose your stay! Offering a 900-sqm garden and a communal pool, Orchidilla is set in Mai Khao Beach, 1.1 mi from Splash Jungle Water Park. Sarasin Bridge is 4.3 mi from the property. Free WiFi is provided throughout the property and free private parking is available. 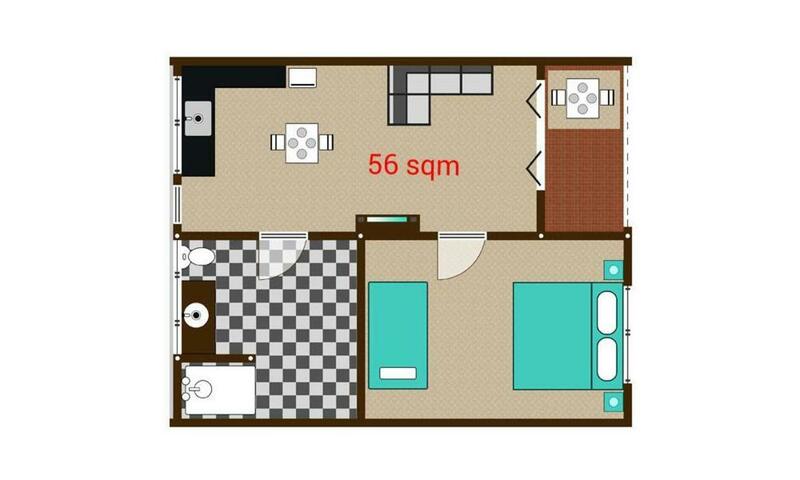 Featuring a terrace, all units are air conditioned and include a smart TV. There is a private bathroom with a bath or shower and shower in each unit. Bed linen is available. Motorcycle and bike rentals are available at the property and the area is popular for cycling. Phuket Airport is 1.9 mi away. Guests of Orchidilla Mai Khao Beach Phuket Houses can also enjoy soothing massage treatments on site. 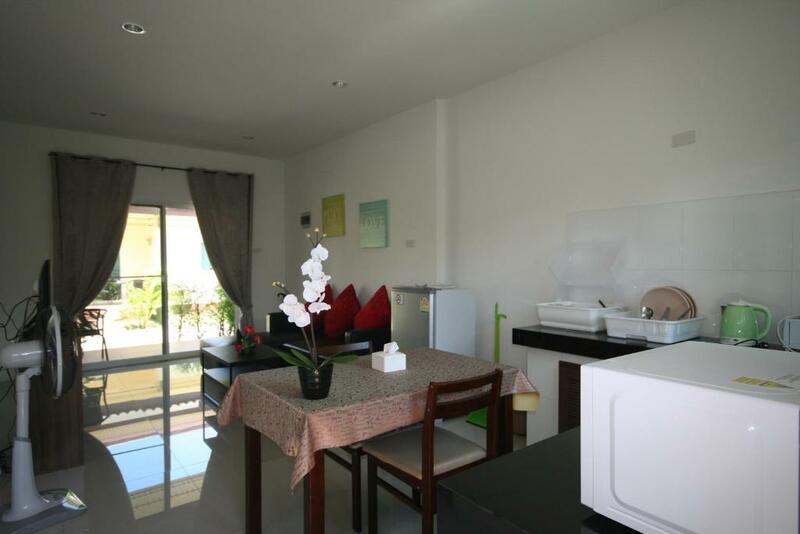 This property also has one of the top-rated locations in Mai Khao Beach! Guests are happier about it compared to other properties in the area. When would you like to stay at Orchidilla Phuket Mai Khao Beach Houses? Boasting a 40-sqm private garden, this holiday home has air conditioning, dining area and a flat-screen TV with satellite channels. This holiday home has a microwave, toaster and tile/marble floor. This holiday home features a sofa, air conditioning and flat-screen TV. Enjoy a little piece of paradies. The Orchidilla is located in the authentic region from Mai khao where the residents like fishing or planting. Central to supermarket, authentic restaurants (prices start 50 baht) and Mai khao beach, First restaurant only 100m - check Orchidilla location by googlemaps. Why stay in a small standard room - enjoy 56 sqm with small terrace In Orchdilla houses. If you need more privacy you can book a 40 sqm privat garden with a wonderful view at our growing lotus field. In our 900 sqm community garden you can relax to birds sound or swimming in the pool. For lunch or dinner we have relationship with 2 local restaurants with delivery service in your house. If you like to go outside its possible to rent bicycle or motorbike. Many guest from Orchidilla enjoy to travel because Phang nga or Phuket is not far away and we have over 100 tips for your planings -:)). We as owner live in the first house and our office is open from 8 am - 7 pm. With our experiences, conversations with the guests and individuel solutions you come as guest and go as friend. Sawasdii khap. My name is Ohm and original born in wonderful authentic Mai khao. If you have any question please contact me by message. Mai Khao beach is the longest beach from Phuket with round about 10 km. In the VIP area you find Shopping areas like Turtle Village or Mai khao Plaza. Our houses are located in the authentic central area. At the airport region you find the big Splash Park and many shops with restaurants, exchange, massage and more. Easy to reach by bicycle or motorbike. The Orchidilla is perfect located to explore Phang nga or the South of Phuket. We offer 100 tips for your planing. House Rules Orchidilla Phuket Mai Khao Beach Houses takes special requests – add in the next step! Orchidilla Phuket Mai Khao Beach Houses accepts these cards and reserves the right to temporarily hold an amount prior to arrival. Please note that the property does not have a 24-hour reception. The office hours are from 08:00 - 20:00 hrs. Please inform Orchidilla Phuket Mai Khao Beach Houses of your expected arrival time in advance. You can use the Special Requests box when booking, or contact the property directly using the contact details in your confirmation. Host was very friendly. Accommodation was clean and had everything I needed. To make it absolutely perfect an aircon unit in the main living area as that gets quite hot. The only one in the bedroom is not powerful enough to cool the entire unit especially with outside access from the bathroom. Check in took too long. It was also further from the beach than I’d thought and you have to walk on busy roads, some without pavements, so if you have little kids, I’d recommend renting a car. Helpful and friendly staff. Walkable to good restaurants- the white tree restaurant is five minutes walk away and awesome food! Nice garden and small pool. Clean and tidy communal areas. I really like the accommodation and the cleanliness. 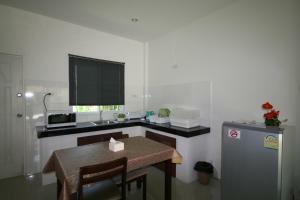 It's a quiet place, really close to the beautiful beach of Mai Khao e 5 minutes from Phuket Airport. The staff are gentle, kind and helpful. I definitely recommend it to everyone. The gardens and pool were beautiful and very quiet,despite the other apartments being occupied we always had the place to ourselves. The apartment was very spacious with a huge bathroom,the kitchenette was a real bonus as we were easily able to prepare our own breakfast. The proximity of two supermarkets made shopping easy as well. Dirk and Ohm were very welcoming and helpful but not intrusive,it felt like a real home from home.